Oregon is the latest in a series of states flirting with legalizing lane splitting for motorcyclists. 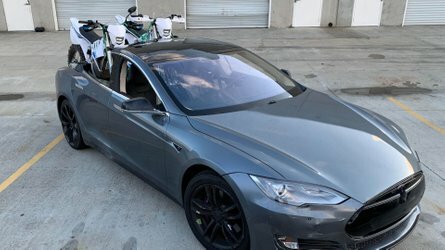 Currently, California is (still) the only US state in which it is not explicitly illegal to travel between lanes, or share lanes with another vehicle, while on a motorcycle. Quite a lot of the rest of the world has a handle on lane splitting (or lane sharing), allowing motorcycles, scooters and mopeds to ride between other vehicles and sometimes also to filter toward the front of the pack at controlled intersections. 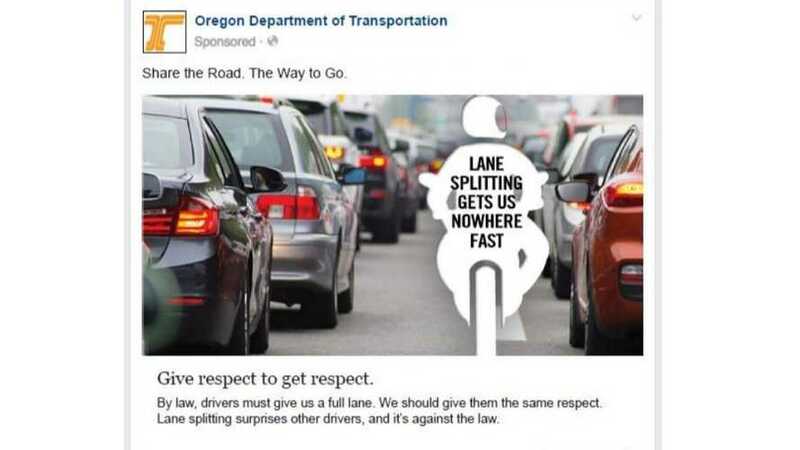 With a little digging it’s not difficult to discern Oregon’s stance on the issue; the Oregon DOT page displays an advertisement (or “sponsored post”) they’ve used on Twitter depicting the outline of a motorcyclist with the words “lane splitting gets us nowhere fast” overlaid. As with any location that has no experience with lane splitting motorcyclists, the first reaction from the general public is fear. It is difficult to convince anyone who has not experienced lane splitting, lane sharing or filtering where it does work, that it works. Unfortunately for Oregon, the concept of filtering (at a stop) is currently completely off the table, and lane splitting or sharing would only be legal on roads with a speed limit of 50mph or more, surrounding traffic speed does not exceed 10mph, and the motorcyclist's speed delta vs surrounding traffic does not exceed 10mph. 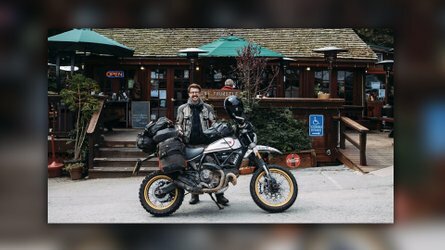 While Oregon’s bill did not make it off the state’s senate floor for a vote in 2018, motorcyclists there are hopeful it will be reintroduced in 2019. The bill has been floating around Oregon since at least 2015. 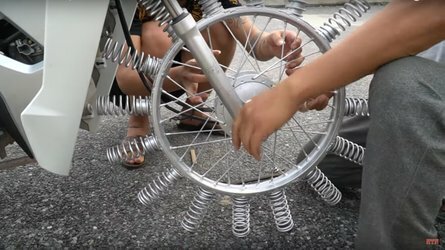 Unfortunately it will probably take yet more work to quell the fears of other motorists. Scientific studies show that lane splitting sharply reduces rear-end accidents for motorcyclists (our most vulnerable area of impact when in slowed interstate traffic), but those who do not ride and do not share this fear. They instead concentrate on that startling moment when a motorcycle passes them in traffic, and their lived experience judging every motorcyclist outside of California who currently dares to lane split as a hooligan and a lawbreaker. To be fair, they’re right. To support lane splitting legislation in your own state, Oregon or not, we all must first help to launch a massive public education campaign, whether state or federally funded or not. If you support it, talk to your friends and relatives about the safety aspects of lane splitting; have the conversation. Make sure you point out that if they were paying full attention to driving instead of their cell phones they’d be aware of every approaching two-wheeler in traffic. Oregon Revised Statute 811.385 Depriving motorcycle or moped of full lane; penalty. (1) A person commits the offense of depriving a motorcycle or moped of a full lane if the person operates a motor vehicle upon a roadway laned for traffic in a manner that prevents a moped operator or motorcyclist from full use of a lane. (2) This section does not apply to operators of motorcycles or mopeds whose use of lanes is controlled by ORS 814.240 and 814.250.